Discussion in 'Non-Indian Domains' started by JulienJ, Jan 15, 2018. As George Kirikos pointed out yesterday morning on Twitter, JB.com has changed hands. The domain name had been owned by Domain Capital for several years, and the company had been asking well into the seven figures to purchase it. 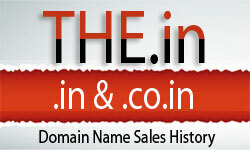 I spoke with Domain Capital’s Gregg Freeman, and he confirmed that the company sold the domain name. Gregg would not share the purchase price. A Whois search reveals the current registrant’s email address is @guta.com. I believe this would indicate George Hong’s Guta.com domain brokerage helped facilitate the sale of JB.com. I presume the buyer is based in China, but we shall see.